Wednesday, 8/22/18 - Round Table Group Discussion with the Experts in the Field. 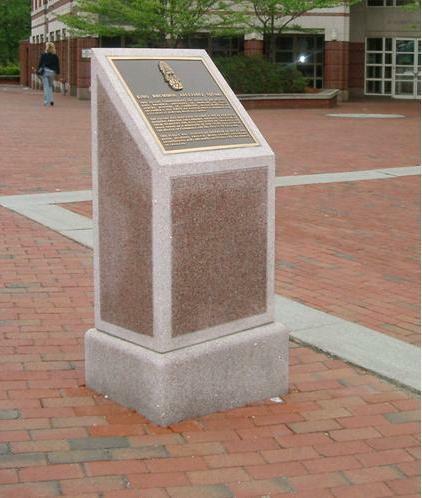 The Harvard T.H. 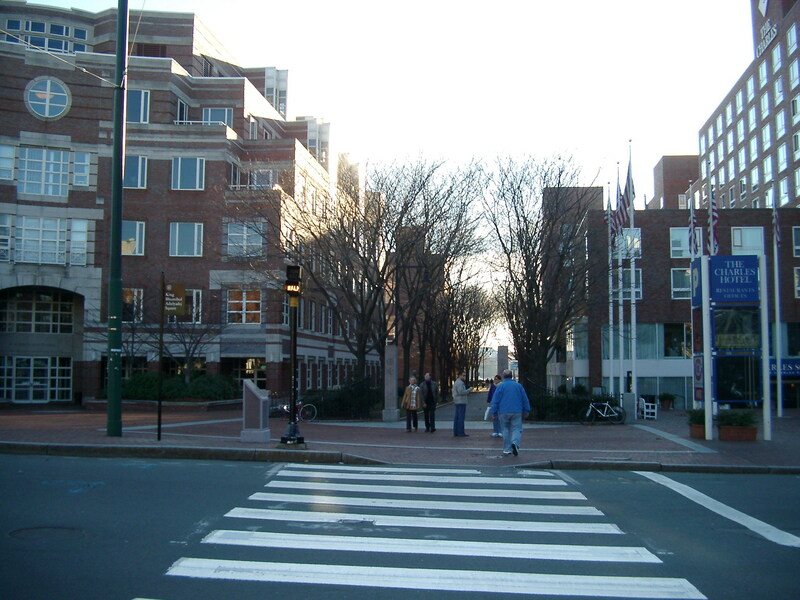 Chan School of Public Health, Harvard University Longwood Campus. 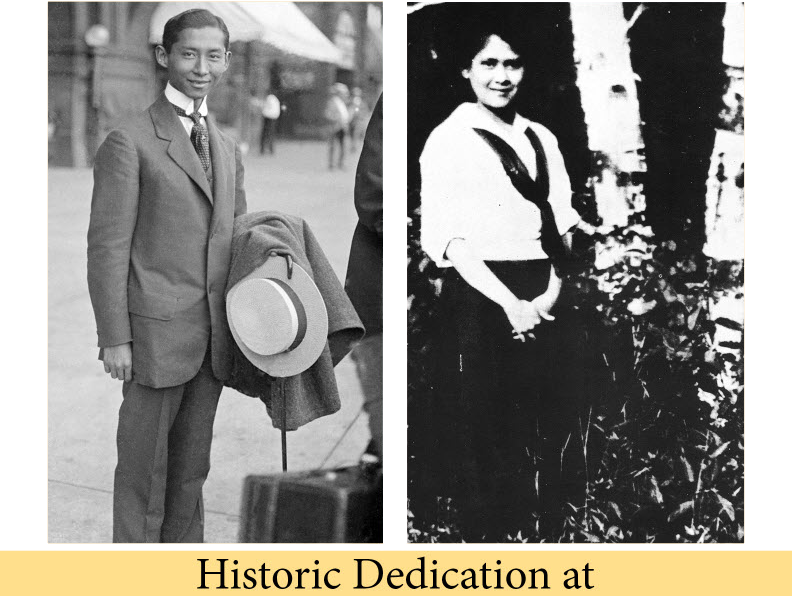 Thursday, 8/23/18 - Symposium at Harvard Medical School in Boston, MA: Celebrating the Legacy of HM King Bhumibol Adjulyadej and his father, HRH Prince Mahidol of Songkla: "A Century of Progress in Public Health and Medicine in Thailand"
Friday, 8/24/18 - Your choice: Trail of Thai Royalty Tour in Massachusetts and mourning the late King's Passing at the King's Birthplace Monument, King Bhumibol Adulyadej Square. Saturday - Sunday, 8/25/18-8/26/18 - Travel to Mt. 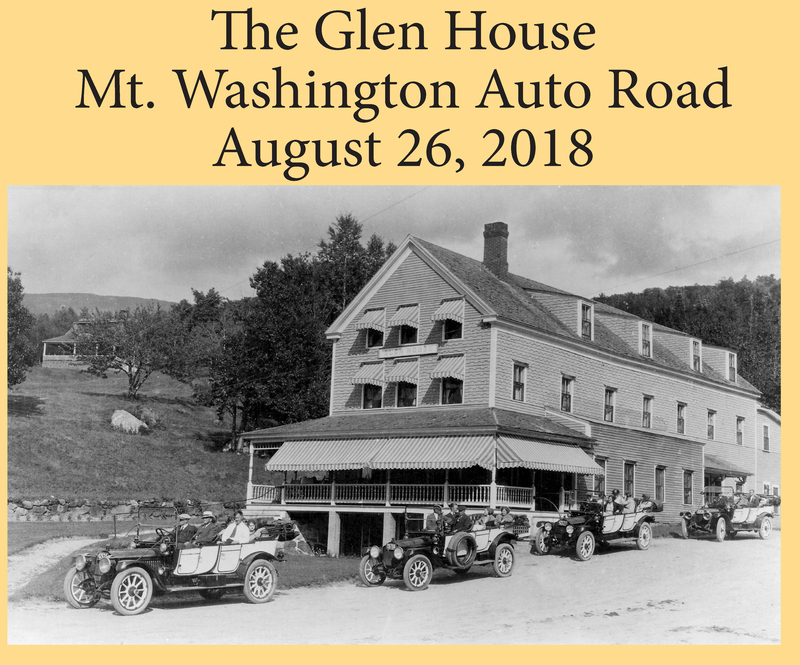 Washington, NH: Tour and Historic Dedication Events at Mt. Washington Auto Road and Mt. 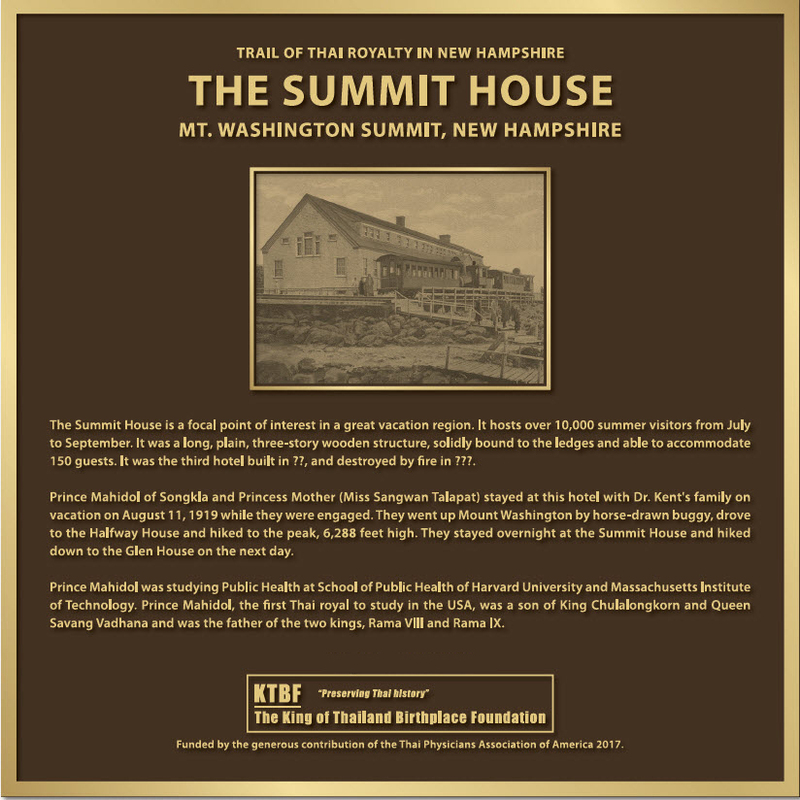 Washington Summit, following the king's family footsteps in NH. For more information, visit www.thailink.com/ktbf, Register by 5/1/18 to receive a good hotel room rate. Contact ktbf@thailink.com or call 781-365-0083. 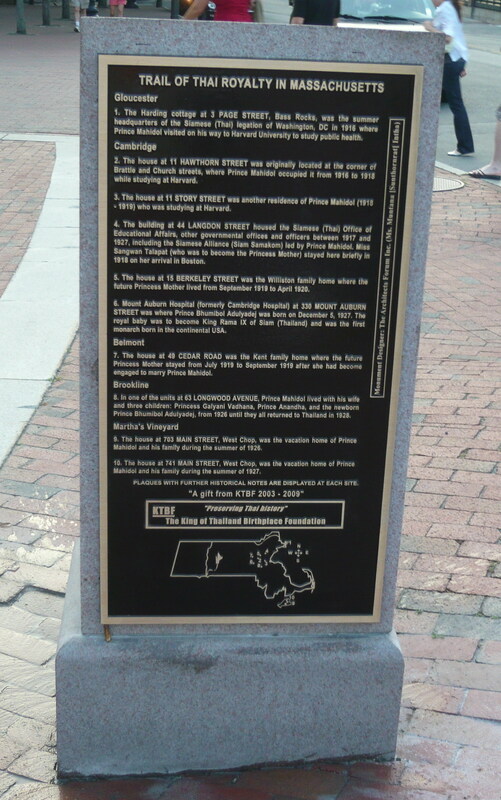 The King of Thailand Birthplace Foundation (KTBF) is a non-profit corporation and a public charity, incorporated in 1998 in Massachusetts, U.S.A. for the purpose of improving King Bhumibol Adulyadej of Thailand Square in Cambridge, Massachusetts to be worthy of His Majesty. 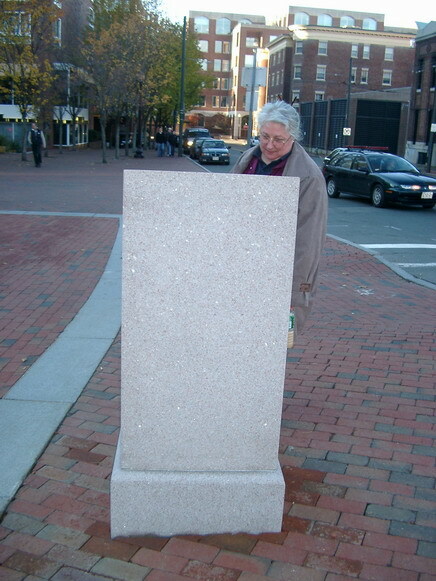 On November 18, 2003, the foundation installed King Bhumibol Adulyadej's Birthplace monument at the intersection of Eliot and Bennett Street at Harvard Square in Cambridge. This monument attracts Thais and Americans to pay respect to His Majesty the King. You, your colleagues, friends and students are invited to join the upcoming event in Boston, Massachusetts and Mt. 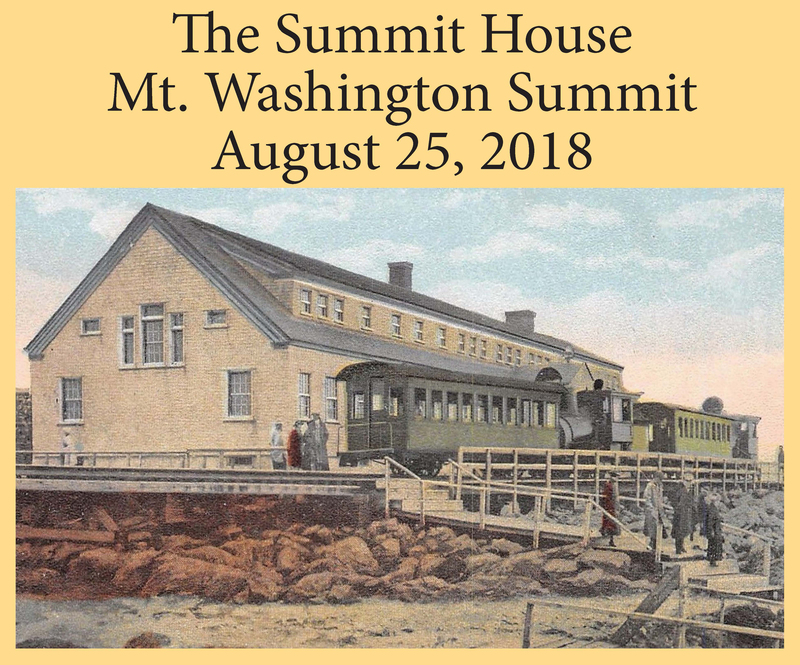 Washington, New Hampshire on August 23-26, 2018. Harvard T.H. Chan School of Public Health has established a 1.5 million dollar memorial fund, "Thai Scholars Fellowship Fund" to honor His Majesty King Bhumibol Adulyadej and Prince Mahidol of Songkla. 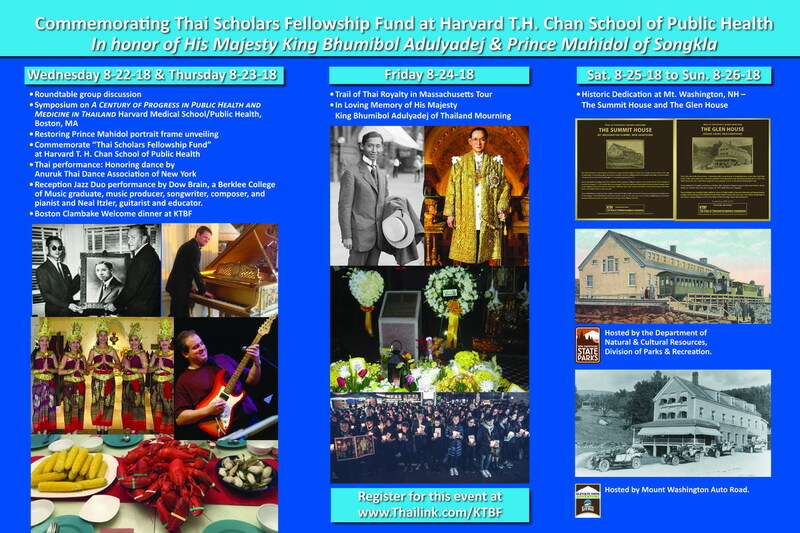 This fund was established with the cooperation of Thai Physicians Association of America (TPAA) and The King of Thailand Birthplace Foundation (KTBF) with Harvard T.H. 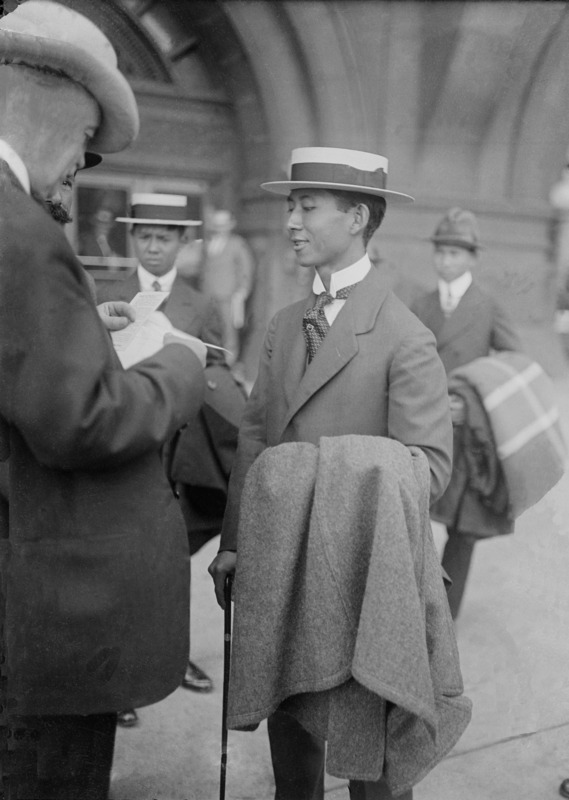 Chan School of Public Health. 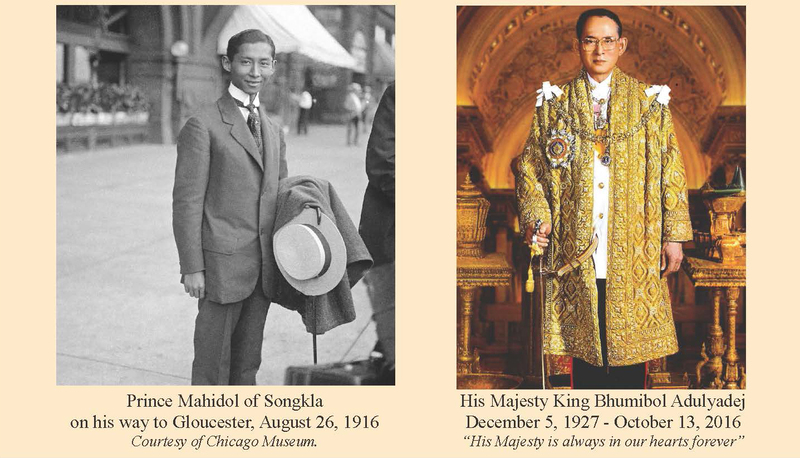 Our mission is to keep Prince Mahidol and His Majesty's legacy alive and help pay forward their good deeds. Our goal is to raise $1.5 million dollar to create a permanent endowed fund for the benefit of Thai students, doctors, nurses and public health professionals in Thailand to study at Harvard T.H. Chan School of Public Health. We will contribute to the advancement in Thailand public health and medicine. The minimum fund requirement is $250,000. We will have 3-years to reach this goal - if we do meeting the goal within the three years, the fund is officially established in perpetuity under "Thai Scholars Fellowship Fund". If not, the funds would be converted to current use so they can be used to support global students. We are confident that we will meet the minimum goal of this prestigious fund in August 2018 to commemorate the fund and to celebrate this event. You will learn about the progress in Public Health and Medicine in Thailand, the history of Prince Mahidol's family and to show gratitude to Prince Mahidol and the late King Bhumibol Adulyadej. If you plan to attend the event, please fill in the registration form and submit to email: ktbf@thailink.com for us to prepare your participation. We hope to receive your support and see you at this August event. Your participation and contribution will help make this event worthy to Prince Mahidol and His Majesty King Bhumibol Adulyadej. Please let us know if you have any question or need more information. You can contact Cholthanee Koerojna by telephone at 781-365-0083, or cell at 781-351-1885, or email at ktbf@thailink.com Your support is greatly appreciated. 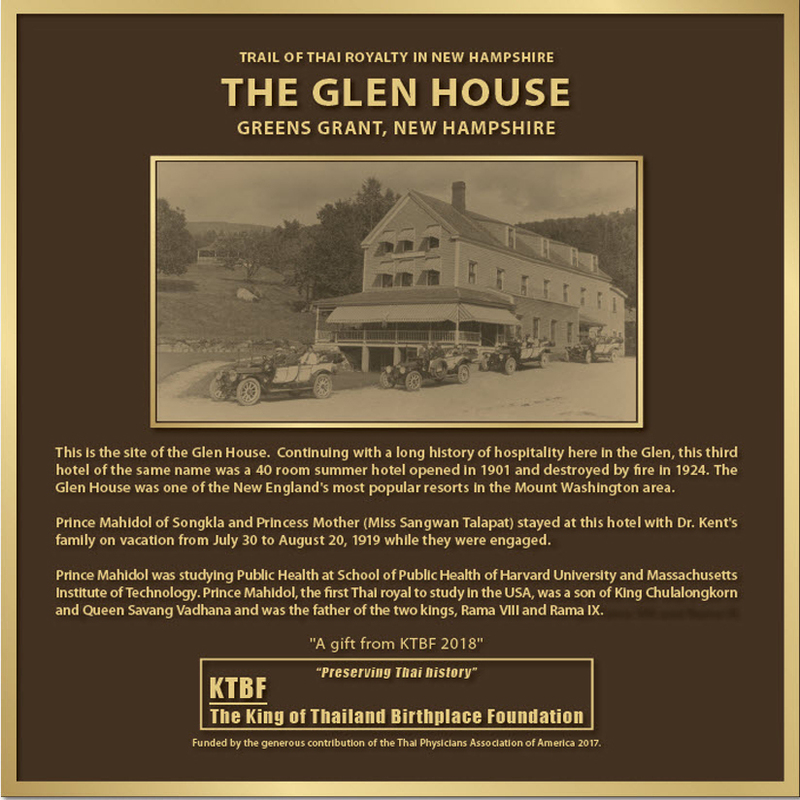 The King of Thailand Birthplace Foundation (KTBF) is a non-profit corporation and a public charity, incorporated in 1998 under 501(c)(3) in Massachusetts , U.S.A. Our mission is to preserve Thai history throughout the state of Massachusetts. KTBF places a high value on preserving Thai history and culture. 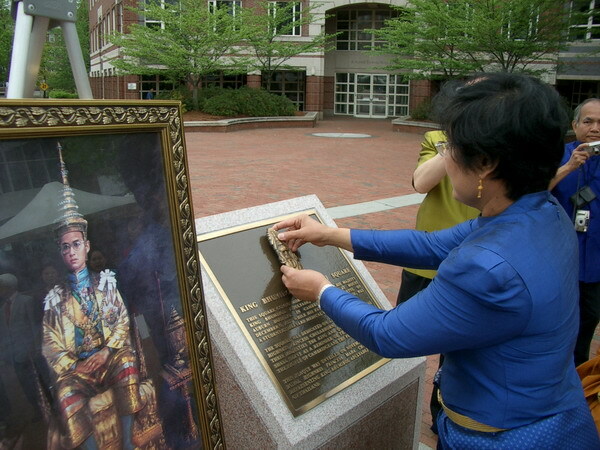 These efforts can be observed throughout more than eleven historic sites in Massachusetts and two sites in New Hampshire, and are appreciated each year by thousands of Thai people who make the pilgrimage to visit these important places. Our finance relies on the public support. Therefore, your support will help us achieve the goal. Your contribution is tax-deductible. Please help preserve this piece of Thai history. It is a very unique opportunity and once in a lifetime that you can show your love and respect to our beloved king. You can donate money using either options, sending us check or donate online using a secure server through Paypal (Visa, Master Card, AMEX, and Discover accepted). Cultural Exchange Program, each year KTBF hosts several cultural exchange programs for student groups who wish to experience American culture, and share Thai culture with new friends. For more details click here.